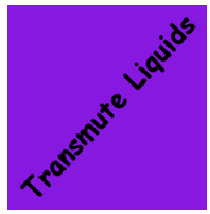 Transmute Liquids Mod adds research to Thaumcraft to allow you to create liquids using the crucible. Later on I’ll be adding ways to obtain liquids from other mods and may add some liquids that have a cool use that can only be obtained this way. Currently, there are only seven liquids that you can create.